Werner Bartels III./JG 26 - Emil cockpit colours RLM 66 ? While poking around in the RAF Manston history museum over the weekend I came across these photos of Oblt. 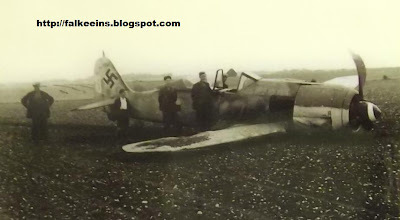 Werner Bartels' Bf109 E-1. 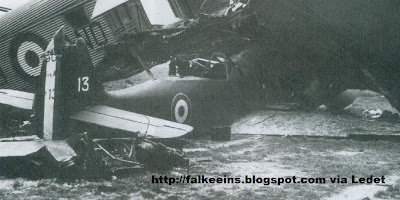 Oblt Werner Bartels, Technical officer of III./JG 26, was shot down by a No.65 Squadron Spitfire over Dane Valley, Margate on 24 July 1940 and taken captive. The rather grainy shot above shows the Dane Valley Arms pub in the background. The pub was originally built as a railway hotel - although the railway station was never built. As for Bartels, his story doesn't end there because in 1943 he was repatriated in a prisoner of war exchange and later became an engineer on the ME 262 programme. The Emil WNr is 6296F. The 'F' stands for "flugklar" or 'airworthy' as in 'repaired to airworthy status'. The retrofitted later style canopy is of interest as is its dark finish. In fact it can be seen that the framing has apparently been finished in a different shade to the surrounding fuselage paintwork. 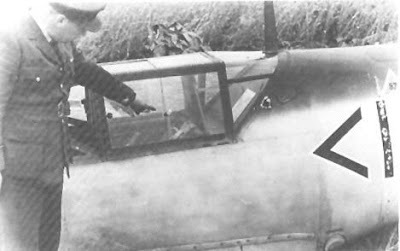 While it is generally believed that Emil cockpit colours were finished in the standard 02 Grau during the summer of 1940 it is argued by some Experten that here the windscreen and retro-fitted 'later' style canopy are finished in the darker grey RLM 66. The cockpit itself appears in the same dark colour - although late July is usually considered to be far too early for an RLM 66 interior. 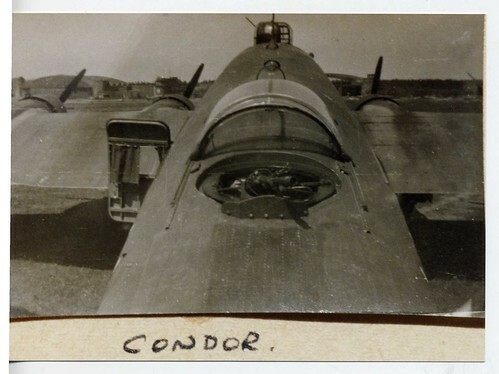 The rear view below is again AFAIK another previously unpublished shot and clearly shows the yellow rudder and wing camo scheme - Bartel's machine was one of the first examples of an Emil to have been noted with an area of yellow paint on the airframe. Examples of Bf 109s that had successfully force-landed ﻿in England were exhibited in dozens of towns and cities across the country during the summer of 1940. Bartels' Emil was put on display in Croydon (south London) later that summer (below). 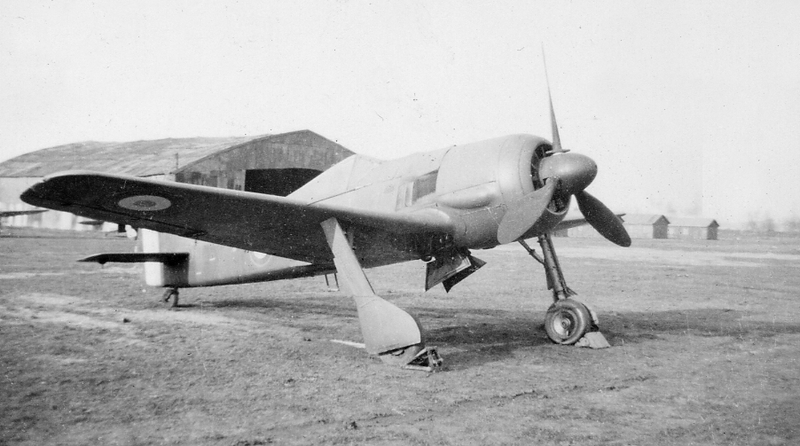 More than 90 Emils made successful force landings in the UK during 1940, although some seven of these were partially or wholly destroyed by fire and a number were stripped and appraised at Farnborough. Bartels' machine was one of two that force landed on 24 July 1940. 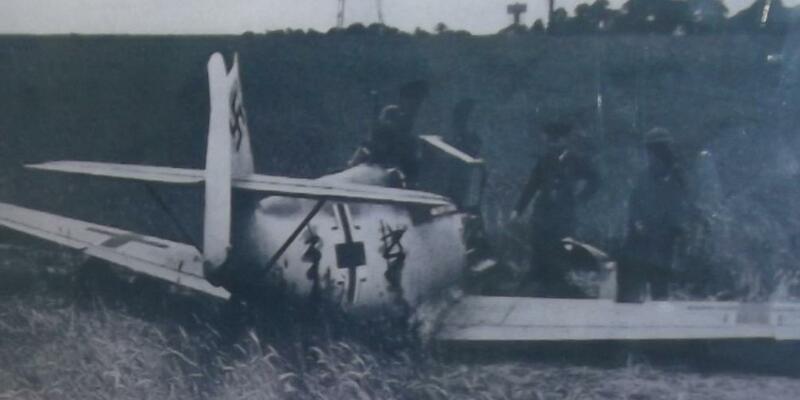 I came across the following photo of a crash-landed Fw 190 in the RAF Manston Airfield history museum and was rather surprised on reading the caption to learn that this particular Fw 190, WNr. 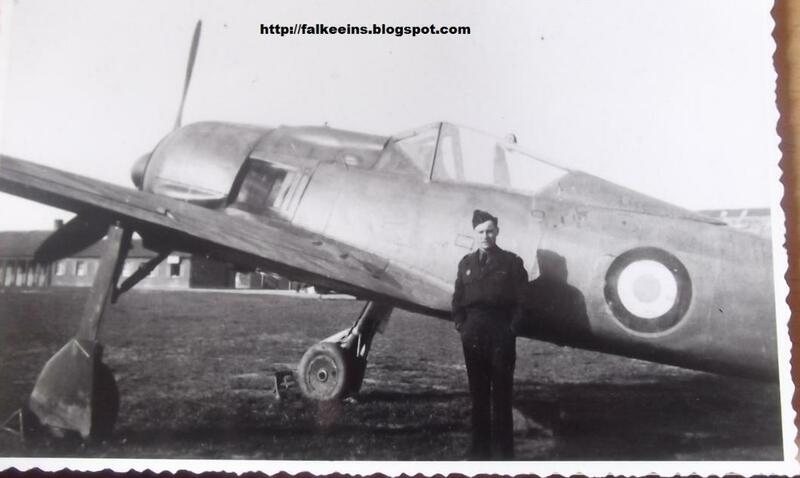 171747, had landed close to RAF Manston in Kent during August 1944 and had been flown by a defecting Dutch ferry pilot called Kuhn. A quick look through the books turned up the following. Johannes Kuhn was born in Amsterdam on 15 November 1908. He served in the Militaire Luchtvaart (Dutch air force) from 1932, and in 1937 volunteered for a six-year term with the Dutch Indies air force, which he joined on 14 August 1937. However, due to an illness, doctors pronounced him unfit for service in the tropics in 1938, and Kuhn had to return to the Netherlands. From April 1939 onwards he flew with 1-2 LvR (1st Reconnaissance Group of the 2nd Air Regiment/ Army Aviation). At the end of that year Kuhn was transferred to V-2 LvR (Army Aviation Fighter Group) and retrained as a fighter pilot. He was shot down over the Pijnacker area on the first day of the German western campaign, on 10 May 1940. 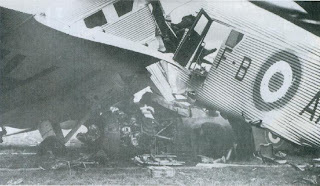 Kuhn saved himself by parachute, but owing to a bad knee injury had to spend several months in hospital. His wound did not heal until 1942, and on 15 October of that year he was officially discharged from the Dutch military service. On the same day he volunteered for the German Luftwaffe. Kuhn was later to declare that his German wife had talked him into joining the Luftwaffe, probably a 'protective' statement given to veil his real motives. In any case, until April 1943, he underwent training with the Flieger-Ausbildungsregiment 63 (Pre-Flight Training Regiment) at Toul, and passed the Flugzeug­führerüberprüfungsschule (Pilot Re-Examination School) at Prenzlau, graduating in early July. From 2 July 1943 Kuhn was with Schlachtgeschwader 101, a close-support training formation, flying the Hs 129 armoured assault aircraft from Paris-Orly. In February 1944 he was assigned to the Flugzeugführerüberprüfungsschule at Quedlinburg, and in May was posted to his last unit, 3./Uber­fiihrungsgruppe West (3rd Squadron of Ferry Group West). 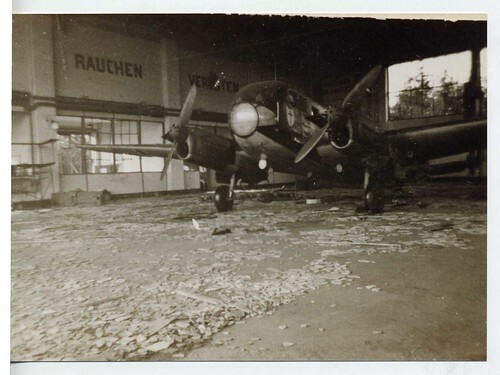 The pilots of this unit, consisting of four Staffeln and a Stab, were engaged in ferrying aircraft from industrial establishments and assembly plants to the various front-line units. 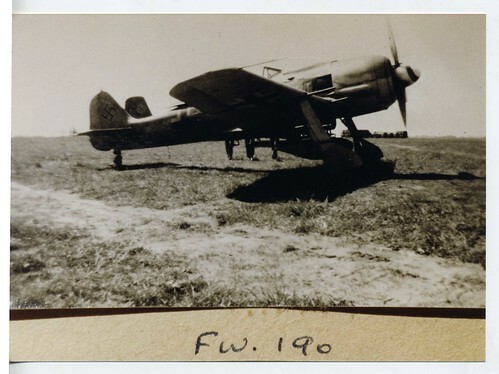 After the Allied invasion of France the losses of Ferry Group West rose dramatically, the pilots having to fly in all weather conditions and their aircraft often being damaged while touching down on improvised airstrips. By then Kuhn had realized that the war was lost for the Reich and decided to defect. A favourable opportunity came on 30 August, when 14 Fw 190s had to be ferried to JG 26 at Brussels­-Melsbroek. Kuhn took off from Wiesbaden, and, as the weather was poor, managed to disengage from the others without being noticed. His course now led over Ostend and the English Channel in low-Ievel flight straight to southern England. Kuhn avoided landing on an RAF airfield, where he would have risked being shot down by anti-aircraft fire. Instead he made a perfect belly landing in a field near Monkton road farm, close to Manston in Kent. 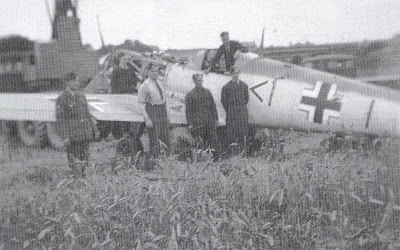 His Fw 190A-8, WNr. 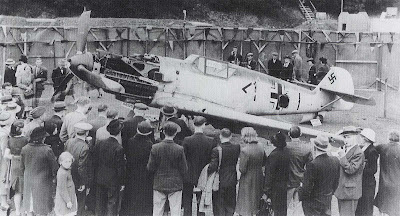 171747 was only slightly damaged and later put on display at the Farnborough exhibition of captured German equipment prior to being scrapped. Saturday 10 November 1945, Le Bourget, Paris. 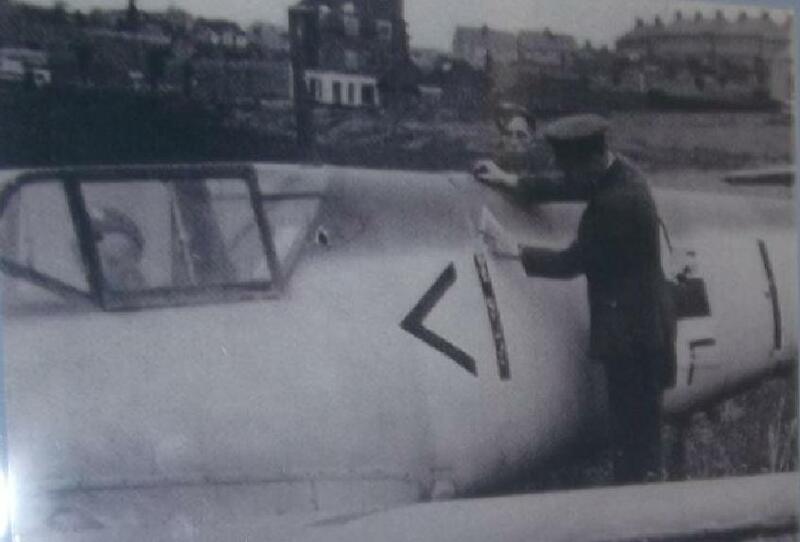 Capitaine Rebierre taxied out, turned onto runway 21, released the brakes of his Fw 190/NC 900 No. 13 and powered off down the concrete strip. He had barely got airborne when his fighter's BMW engine stuttered, coughed and froze. A splattering of oil on the windscreen immediately reduced forward visibility. 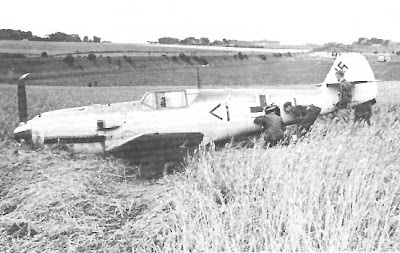 The hapless pilot managed to turn south and attempted to put back down on the airfield. 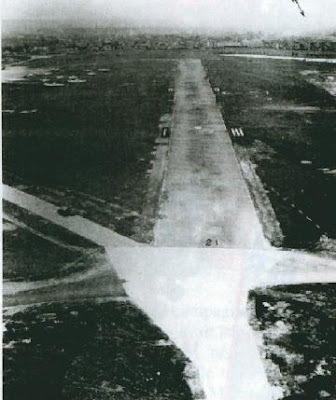 However the nose of his stricken machine was now pointing at an oblique trajectory from the runway and heading directly for the dispersal assigned to aircraft of the RLAF or réseau des lignes aériennes françaises. No fewer than eight aircraft were parked up on the apron at that moment, including Goéland F-BACX, Siebel 204 F-BOAP, two Bloch 220s and no less than four AAC1 Toucans, the French Junkers Ju 52. The pilot just had time to jettison his canopy as his NC 900 hit the ground at speed. The first aircraft that the careening Fw 190 ploughed into was the Goéland, which lost most of its starboard wing torn off. Narrowly missing Bloch 220 F-AOHD, NC 900 No. 13 continued its spectacular run-out by smashing into Ju 52 F-BALI before finally coming to a stand under Ju 52 F-BALI. The damage to the last Ju 52 was catastrophic - hit broadside on, the Toucan was literally sawn in two. Amazingly the NC 900 pilot Rebierre somehow survived unscathed and no injuries were sustained on the ground. An unusual view of Oblt. Armin Faber's Fw 190A-3 from Stab III./JG 2 landed in error at RAF Pembrey on 23 June 1942. 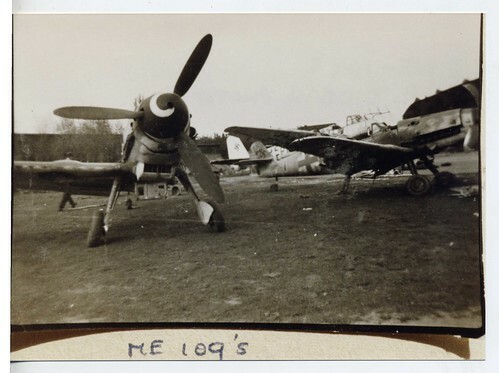 Messerschmitt Me 109s and Ju 88 G at a former German air base in Belgium. Interesting discussion at britmodeller.com today on the Doras of IV./JG 3. I reproduced the picture under discussion in a Fw 190 Dora feature that I prepared for Scale Aircraft Modelling in 2003. Author/researcher/archivist Jean-Yves Lorant was kind enough to send me a selection of his photos for my article including a nice copy of 'Blue 2' below. Even at high-res though this is still a pretty poor quality shot. "...'Blue 1' and 'Blue 2' taken on charge by Gruppenkommandeur Oskar Romm for the Stabsschwarm of IV./JG 3 . 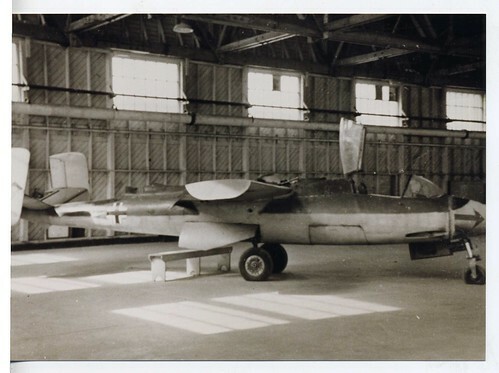 This view illustrates the 'pieced together' appearance of many D-9 camouflage schemes resulting from dispersed late-war production - pre-painted engine assemblies, wings and tail units were mated to fuselages at a central assembly plant. Note the partially over-sprayed natural metal rear fuselage extension plug fitted on ‘Blue 1’. Both these aircraft have the early 'flat' or ‘Anton’ style canopy..."
Note the parachute placed on the horizontal stabiliser and the unpainted rearmost segment of the wing root on both aircraft. 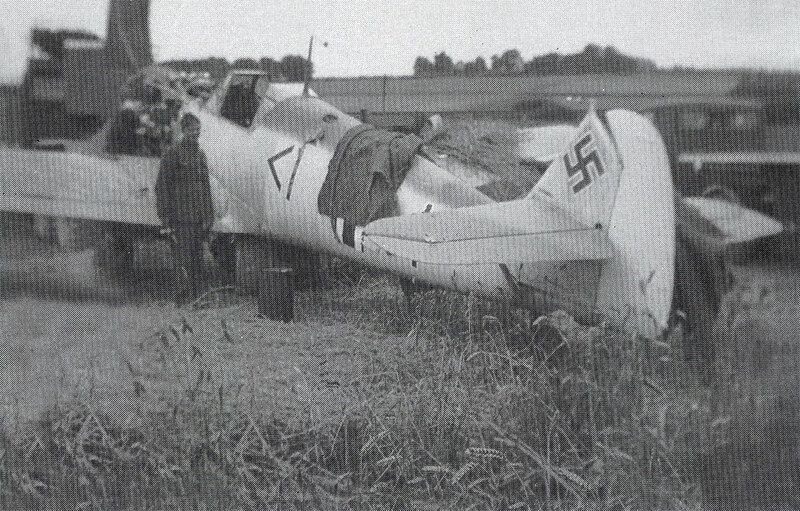 Concerning the fuselage colours Focke-Wulf maintained use of 76 on Doras right to the end. The mystery grey-green shade used extensively on some machines chiefly concerned aircraft constructed by Mimetall Erfurt (MME), in the 50xxxx serial sequences. 'Blue 2' (identified by some as a 600 series machine from Fieseler) has had a fairly liberal overspray of RLM75 around the extension plug (unlike 'Blue 1') and ahead of the Balkenkreuz a chevron and bar over-painted. I had always thought that 'Blue 2' was for a long time 'Green 2' being an aircraft originally assigned to the Gruppenstab of IV./JG 3 (Prien 'IV./JG 3 - Chronik einer Jagdgruppe' ). I think Squadron with their 'Walkaround' title were the first to suggest it had 'blue' numbers which I found rather surprising at the time, but which seems to have become the accepted wisdom ever since. 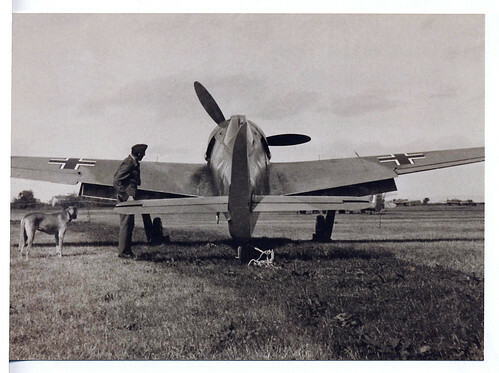 Note the caption for the same picture in Vol 3 of 'Luftwaffe Camouflage and Markings' by Smith & Gallaspey suggests another option referring to the ..
"....two nearest aircraft, red 1 and red 2 (probably flown by the Staffelkapitän and his wingman) which may have belonged to 15. /JG 3 which was led by Oblt. Oskar Romm between January and February 1945. Traces of a white rear fuselage band on red 1, possibly the defence of the Reich band allocated to JG 3.."
Note the aircraft in the top left of the picture was apparently first identified as either a D-11/13 circa 1986 by David E.Brown. He had made this determination from a much better copy of the photo than is usually published according to Dave Wadman in the same britmodeller thread. Some maintain that David E. Brown never received due credit for his early Dora research, especially with regard to JV 44 machines. Now I am the first to recognise that David E. Brown is probably the leading Luftwaffe colours researcher, still publishing and writing long after his early 'Experten Decals' project. 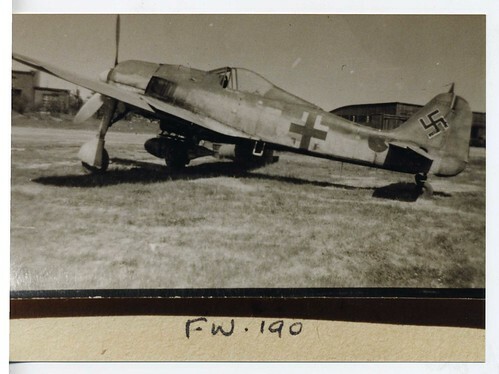 While pursuing this debate, it would not be out of place to mention that the first published JV 44 photos and commentary appeared in Jean-Yves Lorant's 'Le Focke Wulf 190'. This 400-page book was published in collaboration with J-B Frappé by Docavia in 1981. At the time Lorant was still in his teens! This was some time before the Brown and Wadman Experten Decals project, but since he wrote it all up in French, Jean-Yves has never received due credit. Rather bizarrely perhaps though, at the time the lower surface colours of JV 44 were originally thought to be dark grey with white stripes. It wasn't until a 1989 interview with Crandall that JV 44 pilot Faber confirmed to the English-speaking world that the lower surfaces of his a/c were painted red with white stripes. Some Experten continued to argue that at least one JV 44 machine 'Black 1' (sic) had black lower surfaces, rather than red - as maintained in a 1995 article published in Jet & Prop (95/3) entitled 'Die bunten Langnasen der Papageien Staffel' - 'The multi-coloured long-noses of the Parrot Staffel' - although it was hardly likely, as one JV 44 veteran allegedly pointed out, that Luftwaffe birds would have been painted with black and white stripes if operating over the Reich.